Carolyn Maull McKinstry is a survivor of the Civil Rights struggle and an eyewitness to the Sixteenth Street Baptist Church bombing. As a teenager, she marched under Dr. Martin Luther King Jr. and bravely faced Bull Connor's German shepherds and stinging fire hoses during the battle for equal rights in her hometown of Birmingham, Alabama. 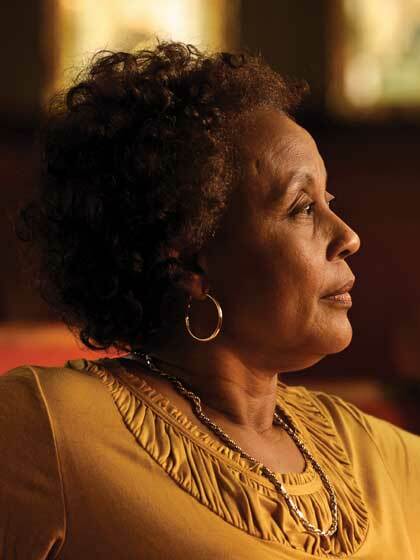 Now, nearly fifty years after the bombing, Carolyn is still an active member of the Sixteenth Street Baptist Church, serves as president of the Sixteenth Street Foundation, and works full time spreading her message of racial reconciliation. A highly sought-after speaker, she has appeared on Oprah, 20/20,CNN,and MSNBC, and portions of her story have been featured in Life magazine and USA Today.She has made numerous television and documentary appearances, including Spike Lee's documentary Four Little Girls; Soledad O'Brien's Black in America; Brian Williams's Shades of Progress, Shadows of Hate; and Family Network's We Shall Not Be Moved. Carolyn has addressed audiences in New Delhi, Mumbai, Barcelona, and the Italian Baptist Evangelical Union in Rome, as well as the Rosa Parks Museum, the U.S. Holocaust Memorial Museum in Washington, D.C., and numerous colleges and universities. She recently received her master of divinity from Beeson Divinity School in Birmingham, Alabama, where she currently lives with her husband, Jerome.